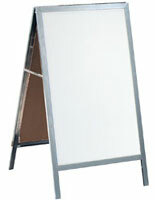 This dry erase sidewalk sign allows you to display strategic marketing content to passersby. 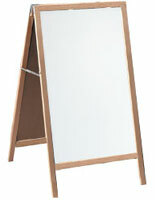 The double-sided a-frame display sports a dry erase board on both sides. 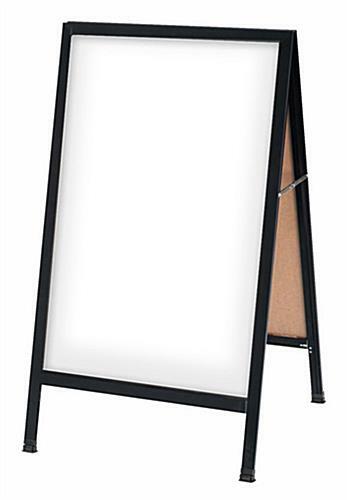 Our dry erase sidewalk sign includes with purchase a set of four markers and an eraser to help you get out of the box running. 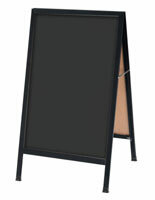 The frame opens and closed easily, whether you are setting the sign up in the morning or folding it flat when it's time to close. 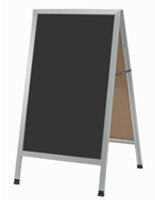 Buy this dry erase sidewalk sign for your business today and start bringing more customers in!